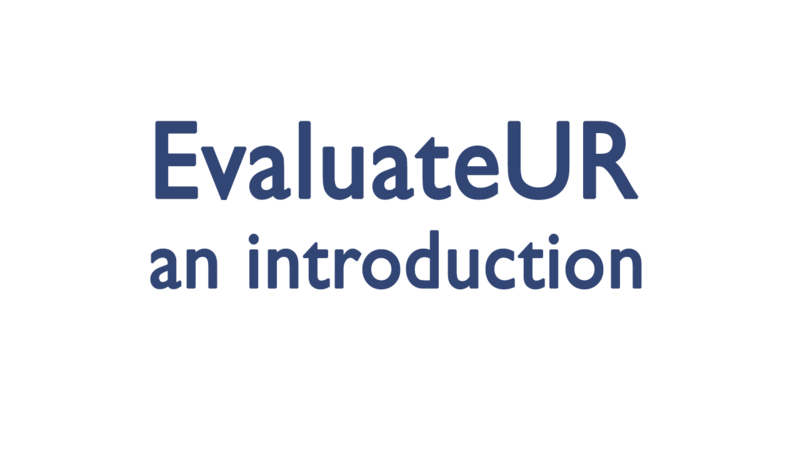 EvaluateUR provides an online guided evaluation process designed to be used by programs that support summer research experiences for undergraduates. If you coordinate a summer undergraduate research program, the EvaluateUR process and tools can help you document the impact of your program while fostering meaningful dialog between students and their faculty mentors. The EvaluateUR process allows programs to obtain reliable independent assessments of program impact without creating a measurement burden, while at the same time providing information to participating students and their mentors that could help them gain new insights into student academic strengths and weaknesses. Interested in getting updates about EvaluateUR? If you're currently using EvaluateUR at your institution we have documentation to support your use of the process and information about the ongoing testing process. Are you a program administrator, faculty mentor or student researcher looking for the right place to fill out that tracking form or find your program dashboard?